Brooks DeBartolo Collegiate High School believes strongly in the importance of promoting the growth of civic responsibility among the Phoenix student body. 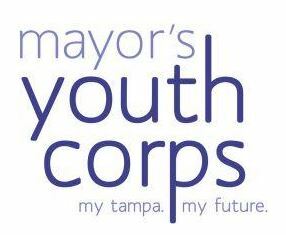 One exciting opportunity and honor for the students of the Tampa Bay area is to be selected as a member of the Mayor’s Youth Corps for the City of Tampa. “The Mayor's Youth Corps provides young people with a voice to the mayor, opportunities for meaningful community service projects, and leadership development while striving to advance their participation in society and civic life” (Mayor’s Youth Corp, 2016). Phoenix students are encouraged to apply to the program if they believe they meet the selection criteria as noted on the application. Applications are due by October 25, 2018 at 5pm to Ms. Molly Biebel, Mayor's Youth Corps Coordinator, who may be reached at molly.biebel@tampagov.net. Applications are available for pickup in Student Services. Please note, the application deadline is in not a postmark date, but is the date the completed application must be submitted to Ms. Biebel. Questions may be directed to Ms. Biebel via her email address or via phone at 813-274-5909. We hope that your student(s) will apply to this unique program. Apply to become involved in a very unique experiential learning opportunity with the Mayor's Youth Corps! Applications are now being accepted for this fantastic organization. Please access the information on this page to learn more about the program, the application and selection process, and the benefits of participating in this group. Specific questions may be directed to Mayor's Youth Corps Coordinator, Ms. Molly Biebel, at molly.biebel@tampagov.net. Applications must be received by Ms. Biebel by October 25 at 5pm, 2018. Empowered, caring youth dedicated to making community service a life-long commitment. provide a direct communication link between the Mayor and the youth of the City of Tampa. provide the experience of working with city government and instill a sense of civic responsibility. provide opportunities for hands-on, effective service to the citizens and the city. promote and recognize the accomplishments and contributions of youth to the City of Tampa.